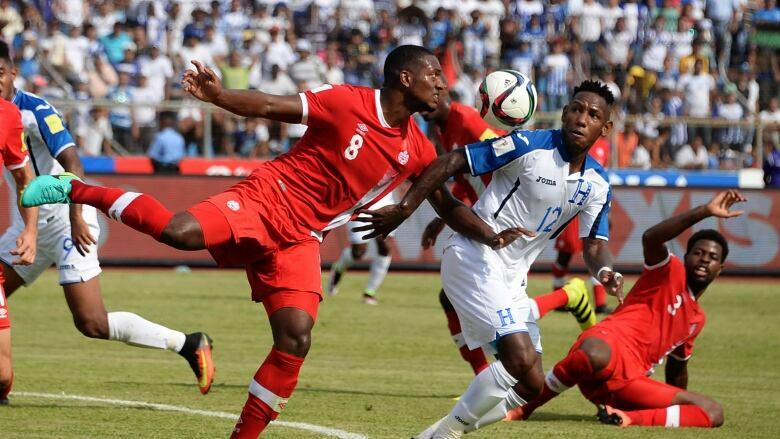 The Vancouver Whitecaps announced Friday they have acquired Doneil Henry, a Canadian international and former Toronto FC centre back from West Ham United. The Vancouver Whitecaps announced Friday they have acquired the Canadian international and former Toronto FC centre back from West Ham United of the English Premier League via Major League Soccer's allocation process. Henry was Toronto's first academy product to sign a professional contract back in 2010, scoring five times in 93 appearances across all competitions before leaving for Europe in 2015. Henry, who has played 22 times for Canada, was honoured with the country's under-20 player of the year award in 2012. But the six-foot-two, 180-pound defender never gained much traction at West Ham, where he played just one first-team match in the 2015-16 UEFA Europa League, before suffering a significant knee injury in November 2016 while on loan to Denmark's AC Horsens. "Doneil is an athletic centre back who's strong in the air. He will be a good complementary piece to our core of defenders," Whitecaps head coach Carl Robinson, who was co-captain at TFC when Henry was wearing the armband for its academy, said in a statement. "His experience in Europe will serve him well. "Doneil has a point to prove and we look forward to bringing him in." Vancouver announced earlier this month it wasn't picking up the contract option on fellow Canadian international David Edgar, who suffered a season-ending knee injury in December 2016 in a hit-and-run motor vehicle accident, but added at the time the club and player remained in talks. The Whitecaps finished third in Major League Soccer's Western Conference in 2017 and won their first-ever playoff game before falling to the Seattle Sounders in the second round.